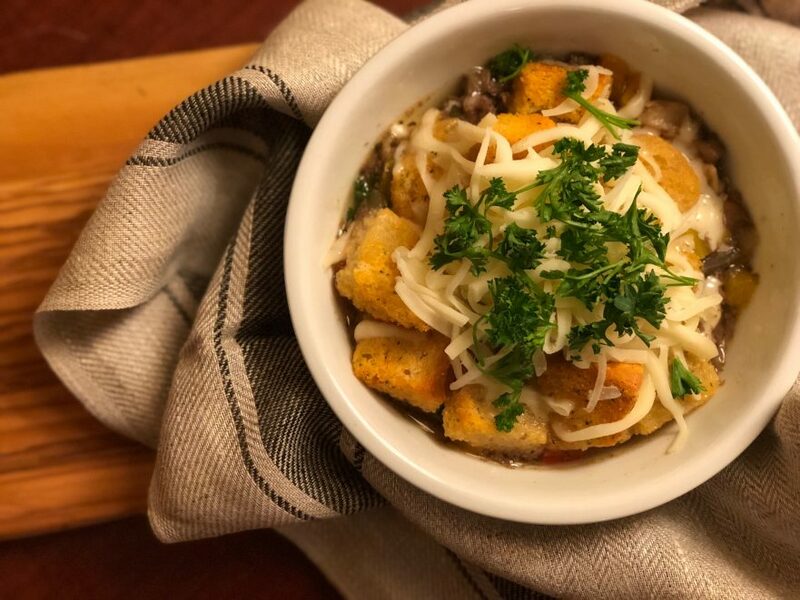 If you’re still trying to figure out what to serve for the big game, here’s a quick and easy dish you can make in the pressure cooker. A few years ago, I had the opportunity to visit Philadelphia and enjoy my first Philly cheesesteak sandwich! I had really looked forward to this food experience, but unfortunately the meat was tough, the bread was stale and the peppers were super salty. I’ve put those same classic ingredients into this soup, making it perfect for the pressure cooker. This recipe calls for mushrooms and no additional salt. If you don’t like mushrooms, you can eliminate those, but I would add maybe another 1/2 cup of peppers to help bulk it up. And if it’s not salty enough, add a little to taste but if you add croutons and cheese, it will be plenty salty! I garnish with croutons, cheese and parsley, but of course those are optional as well if you’re trying to reduce bread or dairy in your diet. 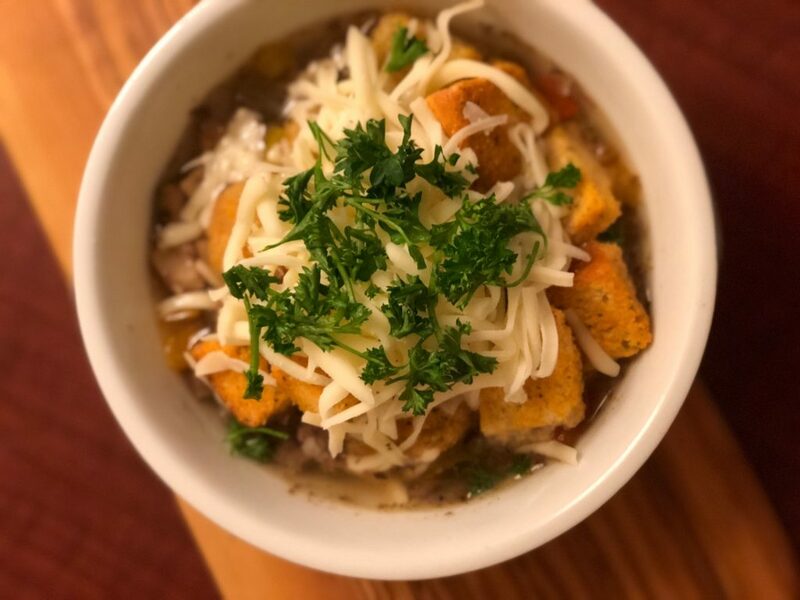 You could also serve in a bread bowl if you really wanted a true Philly cheesesteak soup! Once you’ve cooked for 12 minutes, let it set for 10 minutes. This is called natural release. After 10 minutes, release the rest of the pressure by opening the vent in the lid. This would be called the quick release. Once the pressure has been released, remove lid, stir and serve with a layer of croutons, shredded provolone cheese and sprinkle with fresh parsley.